Julia Ashmore has recently returned from a visit to St Petersburg to meet our partners. While she was there, she introduced a group of 30 trainee teachers from Leiden in the Netherlands to our colleagues and pupils at Dinamika School for disabled children. 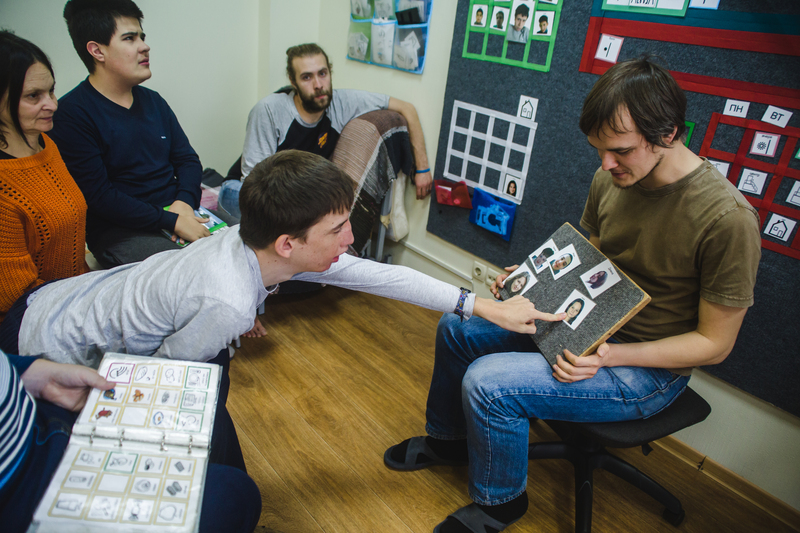 They had found out about Dinamika through our website and wanted to find out what education was available to disabled children in Russia. They were positively surprised by what they found. They were particularly impressed by the equipment that teachers at the school had made or adapted themselves to meet the needs of the children, and by the facilities that St Gregory’s had a hand in providing: the model flat for teaching domestic skills, the craft workshop and the well-equipped gym. This was an excellent opportunity to introduce our work to a broader circle of young people and raise our profile and share our plans.